It’s been an explosive week at the Supreme Court, but maybe less explosive if you heard SCOTUSBlog’s Amy Howe break down the docket on Episode 33 of the Political Junkie podcast. The Hobby Lobby ruling has turned Ruth Bader Ginsburg into an internet sensation, and James Madison into Thomas Jefferson. But it turned us into trivia fiends. So on this week’s podcast, the trivia question is: who was the last Supreme Court Justice who after leaving the Court ran for political office? You can submit your answer below, and the winner’s name will be announced on Episode 35. Last week’s question was: which senator since 1958 has served the SHORTEST amount of time? Five people said the answer should be Louie Wyman of New Hampshire, who was involved in a disputed Senate election in 1974, one of the closest Senate races in history. While the wrangling over votes was going on, Gov. Mel Thomson (R) decided to appoint Wyman to fill the seat of the retiring Sen. Norris Cotton – for all of 3 days in 1975. But Wyman was never seated, so he’s disqualified. 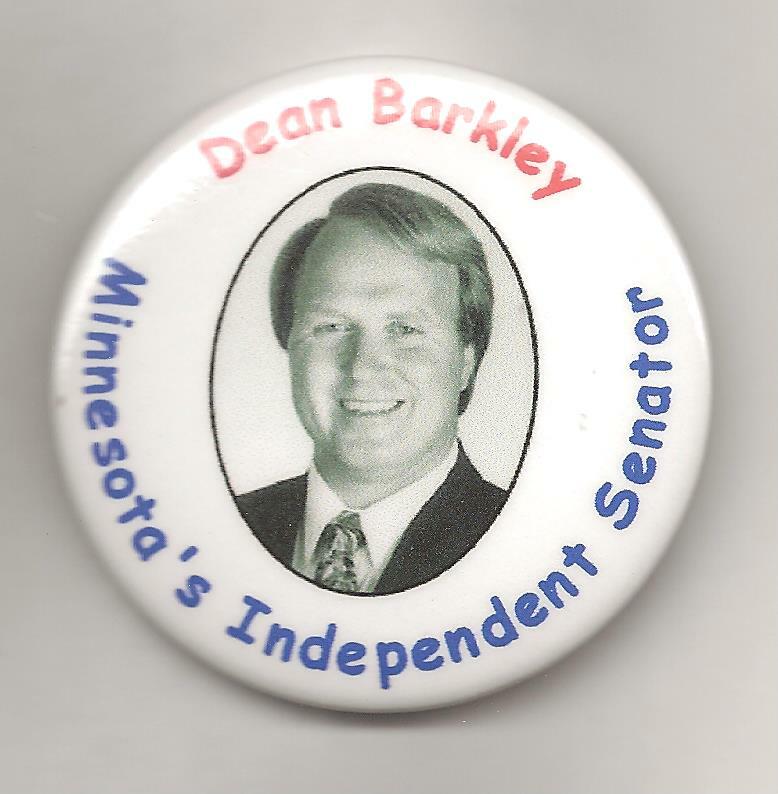 But these five people deserve their moment in the sun, if not a button: Stuart Vance of Kapaa, Hawaii; Ben Amrami of Los Angeles; Will Ikard of Newcastle, Maine; David Gross of Silver Spring, Maryland; and Del Atwood of Nova Scotia (which is somewhere in Canada). 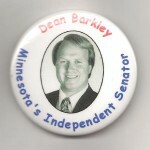 Okay, here’s the real answer: Dean Barkley of Minnesota. He was appointed by Gov. Jesse Ventura in 2002 to fill the remaining weeks of the term of Paul Wellstone, who died in a plane crash campaigning for re-election. Barkley served from November 5, 2002 to January 5, 2003 – for a not-so-grand total of 59 days. And the winner is: Will Thanhauser of Washington, D.C. Will gets the Political Junkie button. Congrats, Will!